Last week I spent a fews days in Kenya’s Mara province on the border of the famous Maasai Mara National Park. The Mara is of course famous for the incredible animal migrations, particularly wildebeest and zebra, that cross the plains annually moving between the highlands and lowlands for seasonal grazing. I wasn’t there for the migration though. It’s too early in the year for that. I was there to photograph the relatively new ‘Encounter Mara’ tented camp in the Naboisho Conservancy. 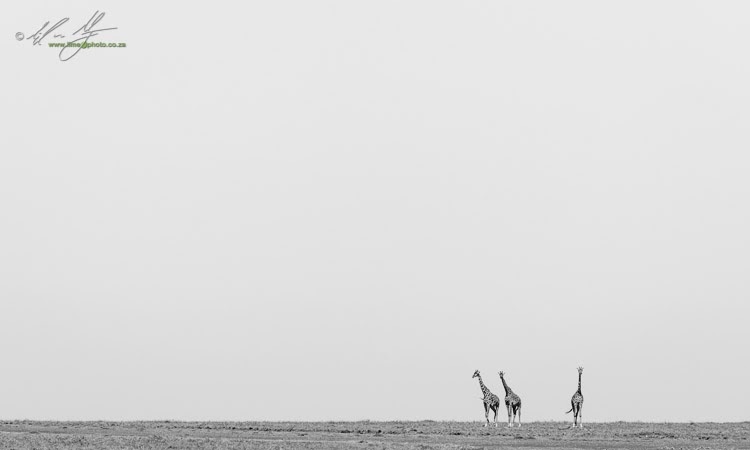 Giraffe on the airstrip. Game viewers take it in turns to chase wildlife off the strip so that the planes can land. The concept of a conservancy is that it is a joint use of a piece of land that abuts a national park. The phrase ‘joint use’ often immediately puts prospective visitors off the idea of visiting as they envision a lack of wildlife and a proliferation of agriculture animals. Nothing could be further from the truth though. The world renowned Sabi Sands is technically a conservancy. 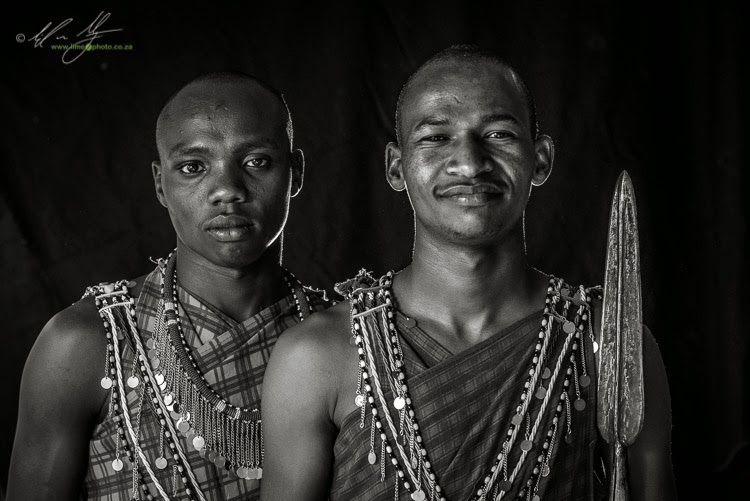 Although Naboisho does allow periodic grazing of the Maasai cattle, there is little difference to the numbers of plains animals to that of the national park further south. What there is a lack of is other tourists! When you travel to the Masaai Mara Park expect to see upwards of 15 vehicles to a sighting. 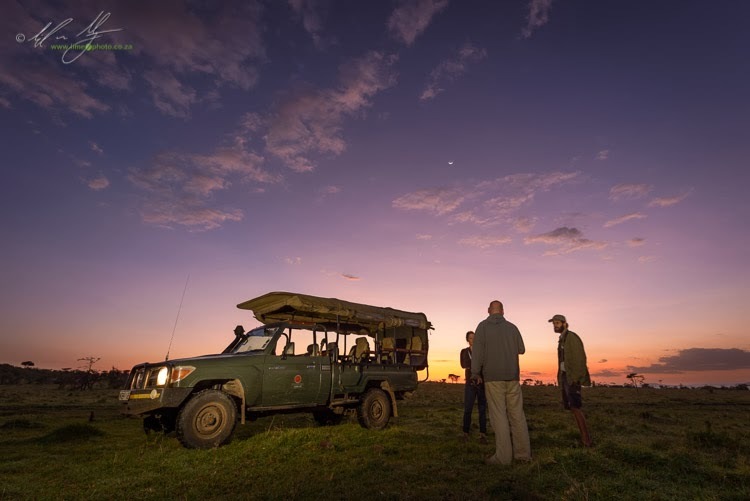 In the conservancy there is a maximum of 4 vehicles to a sighting, and usually there are only 1 or 2. This is why you visit a conservancy: exclusivity (and to make yourself feel even better, what you pay goes back to local communities and financially fosters the idea of conservation). So in a word, conservancies rock! Then there are the camps. Because it’s a conservancy, it tends to only be upper end to luxury accommodation, once more meaning exclusivity. This was why I was in the Mara, to photograph Encounter Mara for advertising as well as to take a look at the area for potential workshops in the future. The experience in the area was fantastic. Wonderful, open and friendly people and absolutely amazing wildlife. The Mara is no ordinary wildlife area. Even in the low season plains game are literally teeming wherever you look. Hundreds of zebra, Thompsons gazelle and wildebeest as well as dozens and dozens of giraffe were around every corner. This was the low season. Apparently during the migration it’s difficult to sleep at night as there is the incessant grunting and bellowing of animals. As I say, my purpose there was less to see the wildlife and more to photograph the accommodation. 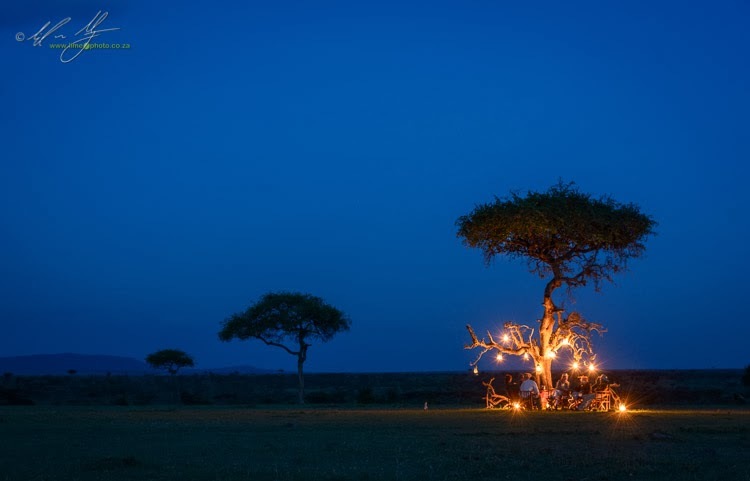 Although the camp is a tented camp, it is far from rustic or basic. 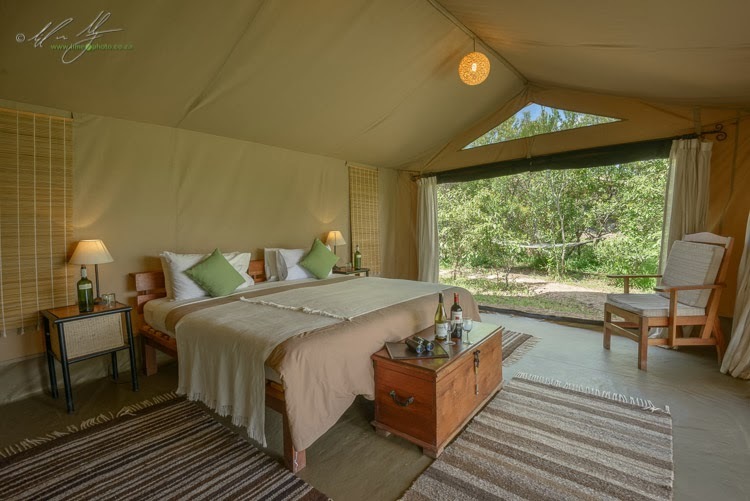 Extraordinarily comfortable beds and cavernous tents mean that you feel like a shah every time you step into your tent. Hopefully the images I produced in the end will give a glimpse as to the comfort that awaits guests (and my workshop attendees ;) ). This is going to be the setting of a wildlife photography workshop in the first week of October this year…I hope. I’ll be putting more details up on the website shortly. A maximum of 6 photographers will be on the trip, which will be an intensive workshop session of 4 days. Stay tuned for more :) ….